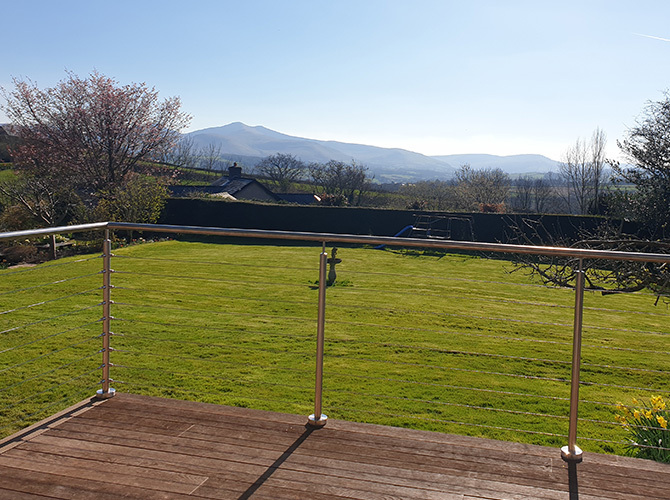 A delightful wire balustrade installation at a private residence in the heart of Wales. Posts have been mounted directly on to the timber decking area, providing a stylish and unobtrusive safety feature. 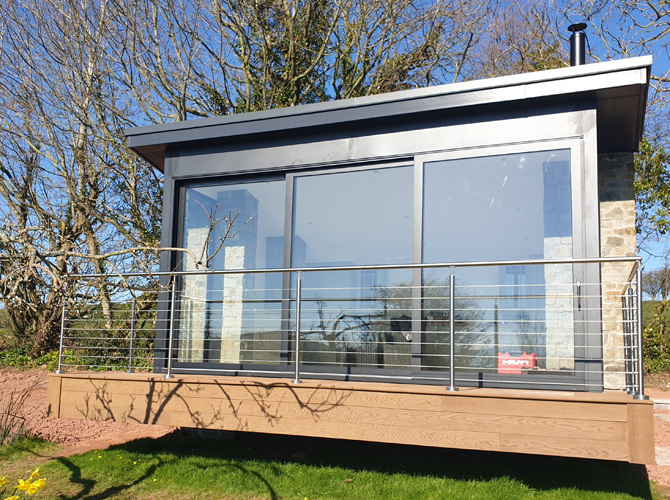 This installation uses a standard height stainless steel baluster frame with nine wire rope infills with a spacing of 100mm to meet UK building regulations. Our wire balustrade system has been perfectly installed by B.Jenkins and Sons. 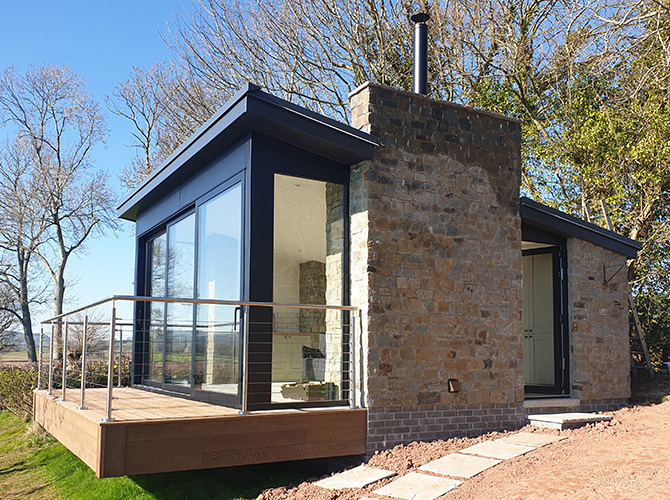 All components are produced from 316 grade stainless steel, ensuring a hard wearing finish for outdoor environments. Tubular Stainless Steel Balustrade - Offering a wide range of balustrade solutions. 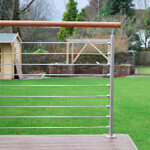 Glass Balustrade - Stainless steel balustrade post system designed for glass infill. Frameless Glass Balustrade - Beautifully crafted glass channel systems for a minimalist style.